Jennifer is a very recent ARDS survivor. Twenty-four year old Jennifer just got sick on March 4, 2003. She developed what she thought was the flu and when to the emergency room at St. Joseph’s Hospital in Tucson, Arizona. Once there, they learned that her oxygen level was only 62%. After two days, they discovered Jennifer had viral pneumonia and sometime after that, she was diagnosed with ARDS. Jennifer was completely sedated and paralyzed; they strapped her down while she was ventilated for more than a week. The doctors and nurses said that she was extremely close to dying. Jennifer was on the hospital the entire time she was in the hospital but luckily, did not need oxygen once she was discharged. Though Jennifer had the support of her husband, and her parents, who came in from her hometown of Portland, Oregon, her three-year-old son was not allowed to come in to the hospital room. However, they posted photos of him so Jennifer could see him right when she awoke. The staff at the hospital was dedicated and Jennifer owes her life to them. After sixteen days, Jennifer was released from the hospital and went home on March 19, 2003. She is very happy that she survived ARDS because so many people die from it. Jennifer is having flashbacks, having trouble sleeping through the night and having mood problems. She has been unable to stop crying and her motor skills are impaired. She has trouble signing her own name. Although Jennifer can get around physically, she quickly becomes short of breath and fatigued. Jennifer knows it will take time to heal. This was a very traumatic life changing experience for Jennifer to deal with and she considers herself very lucky. 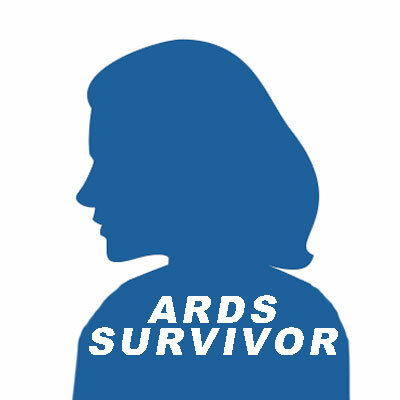 She hopes that other survivors realize how lucky they are as well, to be alive if you have survived ARDS. Jennifer is very determined to be outspoken about this syndrome because it is virtually unknown. Blessings to those who have lost loved ones due to ARDS. Those who will always be in her heart.